Continue reading Thanks for participating! Posted on September 5, 2014 February 12, 2015 Author Alba LópezCategories BlogTags NFP, Wayne McDonellLeave a comment on Thanks for participating! 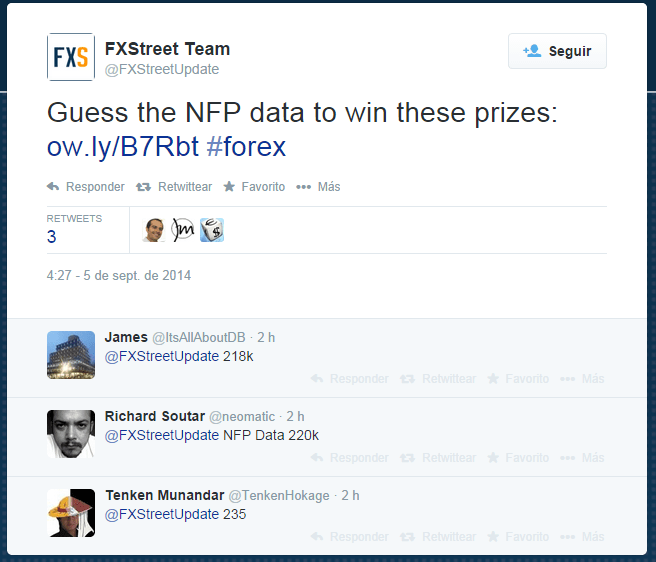 Continue reading Guess NFP today’s data and win a trading pack valued at $200! Posted on September 5, 2014 February 12, 2015 Author Alba LópezCategories BlogTags NFP, Wayne McDonell1 Comment on Guess NFP today’s data and win a trading pack valued at $200!